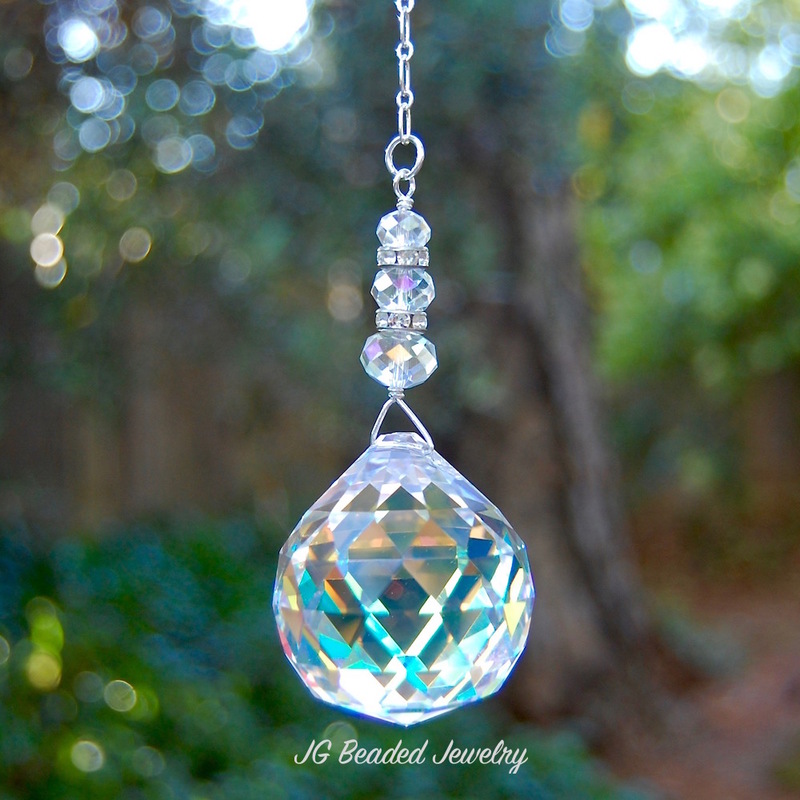 This iridescent prism crystal suncatcher is designed with a 40mm Aurora Borealis faceted prism crystal ball that is wire wrapped by hand. 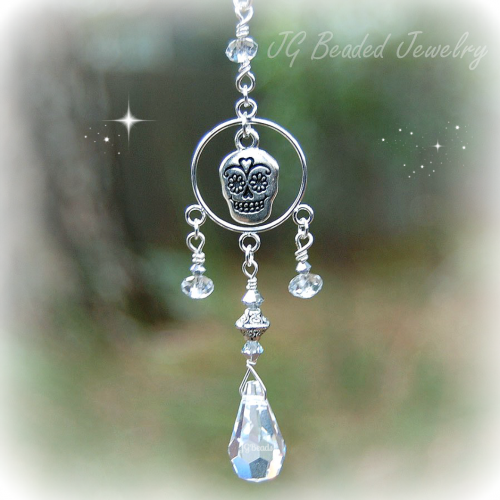 It is embellished with clear faceted crystals, fancy silver beads with clear crystals, silver chain and a sturdy half inch ring at the top for ease of hanging. The length is approximately 10 inches. 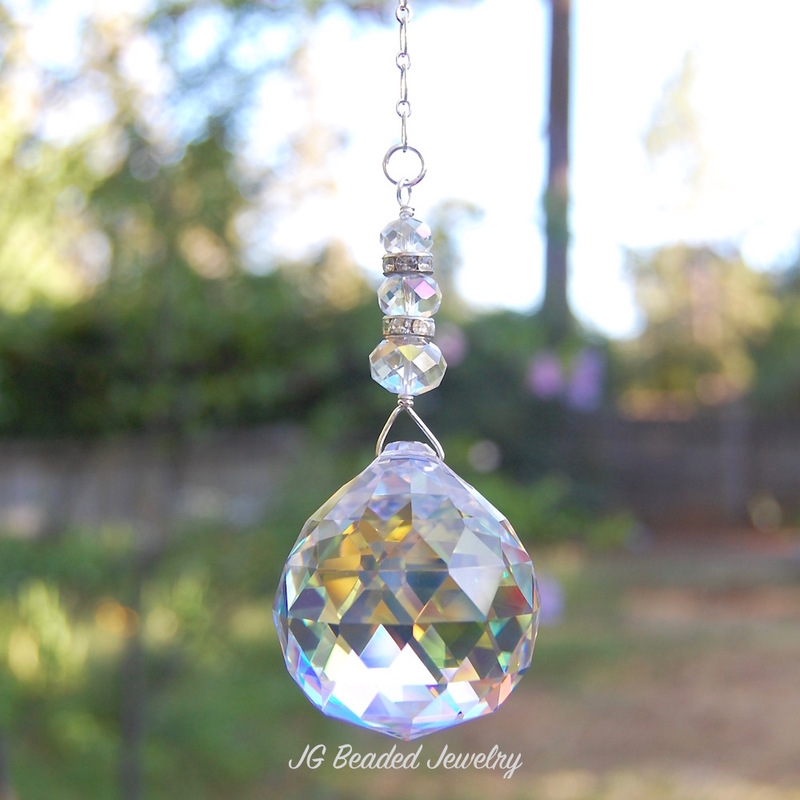 Hang this iridescent prism crystal suncatcher in a window and you will have rainbows splashed through the room when in direct sunlight! Great for a sun room, porch or even your outdoor patio area. ♥ This crystal prism is NOT intended for the rearview mirror due to the size and weight. If you like this design and would like a smaller prism for the rearview, please contact us with your request!